April 1: The Tegan and Sara Foundation will offer grants up to $15,000 to camps that currently serve LGBTQ youth. Our objective is to improve access to LGBTQ camp experiences for under-served communities across the U.S. and Canada, particularly Indigenous, low-income and rural -based youth. 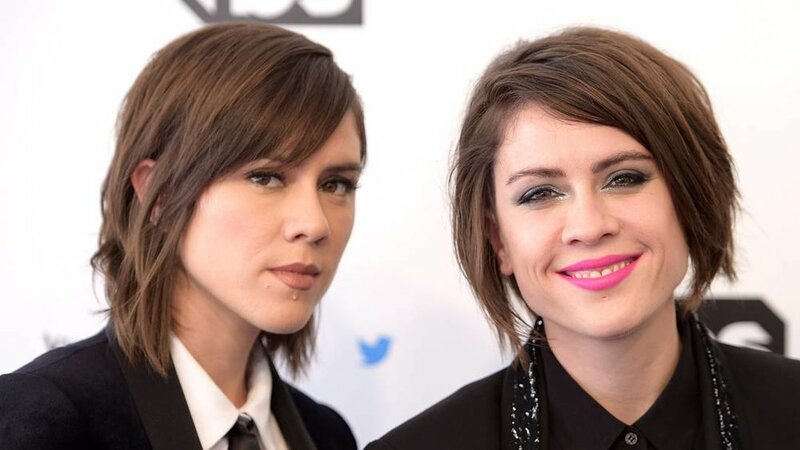 Tegan and Sara met with Prime Minister Trudeau and several Members of Parliament in October 2018 including Special Advisor to the Prime Minister on LGBTQ2 Issues, Randy Boissonnault, to lobby for LGBTQ2S rights in Canada. 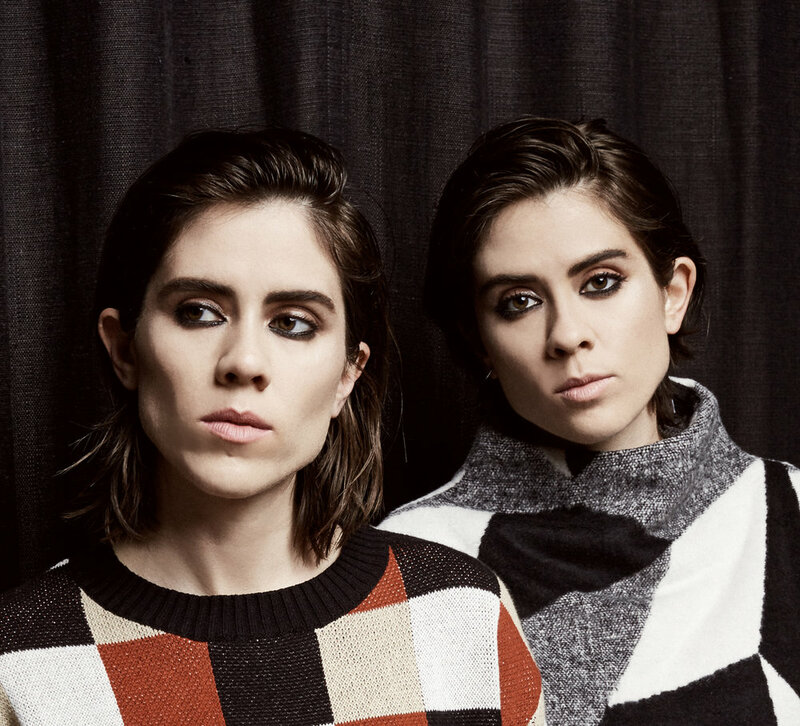 Tegan and Sara received the Canadian national honor of being named a 2018 Governor General’s Performing Arts Award recipient, which is the highest national honor that Canada bestows in the performing arts for career recognition. 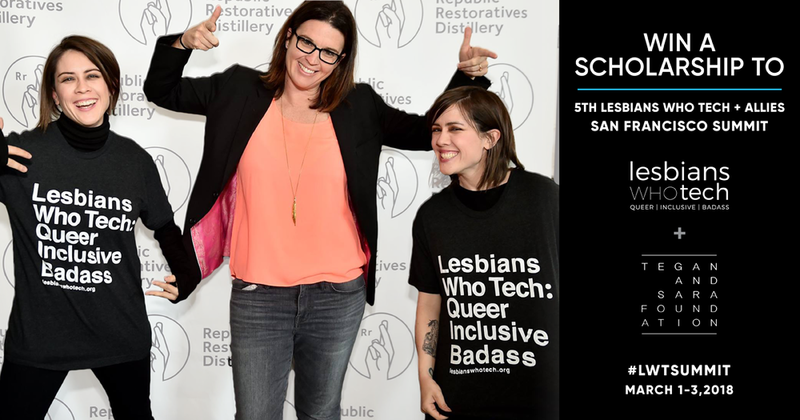 Tegan and Sara Foundation partnered with Lesbians Who Tech to offer 20 scholarships to the 5th Annual Lesbians Who Tech Summit in San Francisco. 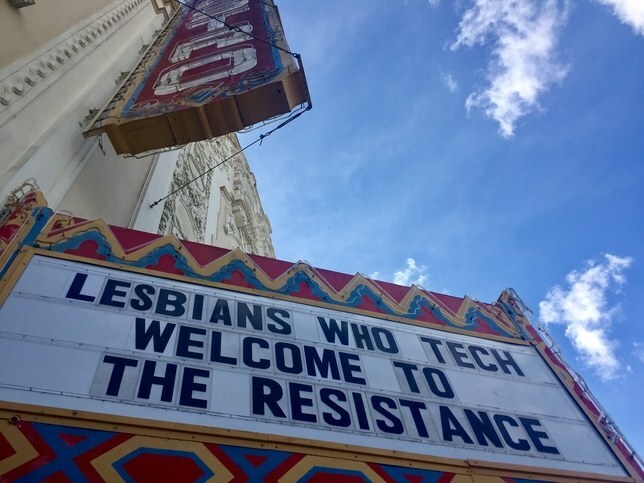 Tegan and Sara delivered a closing keynote at the 5th Annual Lesbians Who Tech Summit on Friday, March 2. Tegan and Sara are taking the Safer Spaces Initiative on tour in an effort to create more inclusive spaces for their fans. This means instituting a Zero-Tolerance Policy for homophobia, transphobia, sexism, racism and religious discrimination as well as making all-gender restrooms available. The Tegan and Sara Foundation would like to thank GLAAD and The Ally Coalition for advising on this Initiative. 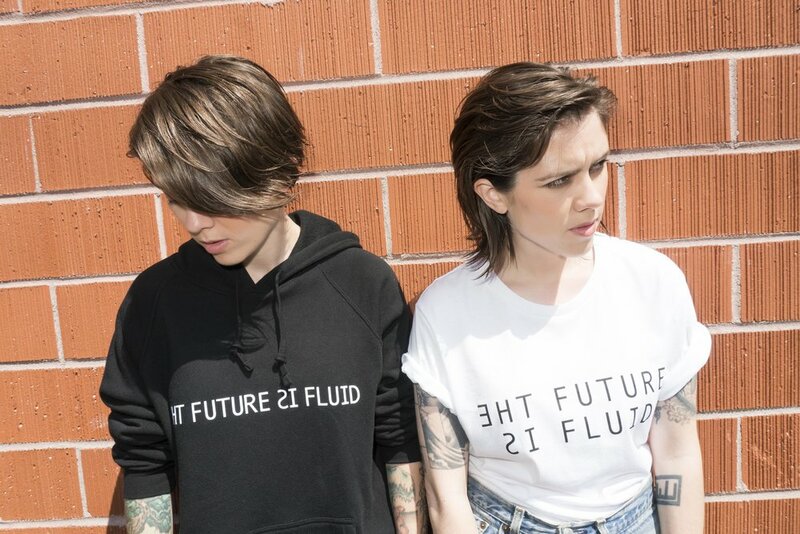 Tegan and Sara collaborated with Wildfang to launch the Future Is Fluid Collection in celebration of LGBT History Month. 100% of the profits benefit the Tegan and Sara Foundation. Don't miss a special panel discussion with Tegan and Sara on Saturday, October 14th at Mothership Fest. Mothership is a women's festival and retreat that takes place over 3-days in Coachella, California. Days are filled with smart, celebratory workshops and events with a feminist focus. When the sun sets, female-fronted music acts take the stage. This transformative, high-vibe experience is for ALL women. To celebrate Chicago as the future home of the Obama Presidential Center and current home to some of the world’s biggest and best-loved music festivals, the Obama Foundation tapped the Chicago-based website Consequence of Sound to compile a playlist highlighting tracks by civic-minded artists playing at Lollapalooza. 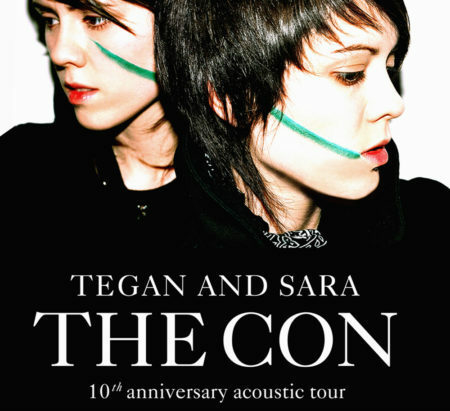 It’s been a decade since Tegan and Sara released their fifth studio album, The Con. To commemorate the landmark anniversary, the Canadian duo has announced a cover version of the album, with 14 different collaborators each covering one of the album’s original 14 tracks. 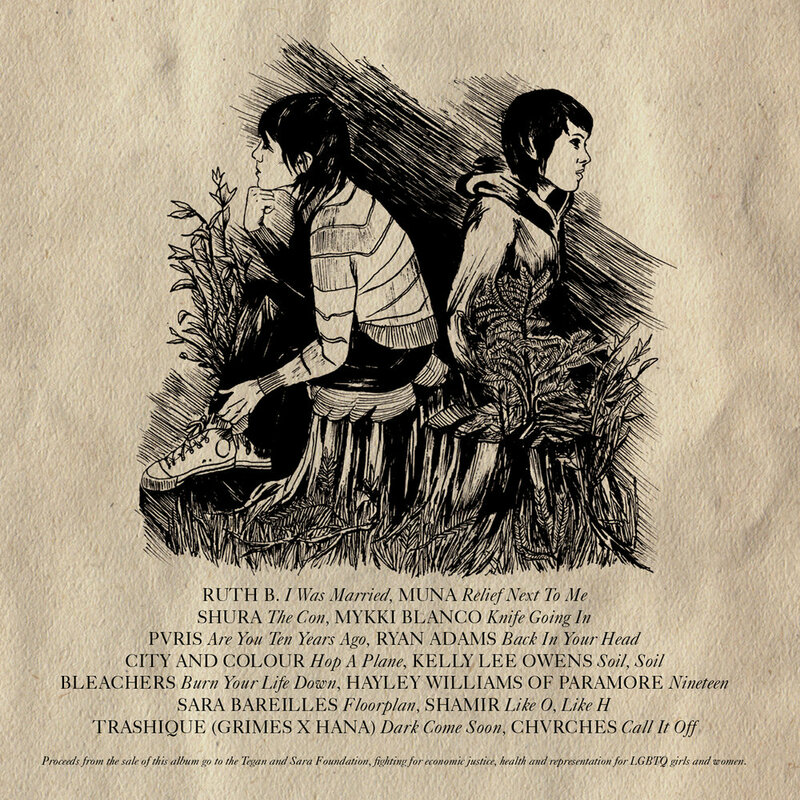 Though the list of artists participating in the re-release has yet to be announced, all proceeds from the cover album will go to The Tegan and Sara Foundation. Tegan and Sara Quin let Billboard shadow them as they attended Pride events in New York on June 24; this included a surprise appearance at a party in Soho and their performance that night at Pride Island. Tegan and Sara performed at this year's first annual The Village Voice Pride Awards, sponsored by Netflix's Sense8, on June 21 in New York City. The event aimed to "honor local and global heroes in the LGBTQ movement working for progress for the community." On Monday, June 19, Sara joined a conversation on Twitter about LGBTQ+ representation in media. She was joined by GLAAD CEO Sarah Kate Ellis and Angelica Ross, an Emmy-nominated actor and co-star of Claws. With the announcement of our two Canada 150 shows in Victoria and Calgary, we want to take a moment to acknowledge the Indigenous peoples of Canada. Today we stand in solidarity to show our commitment to Truth and Reconciliation, and to building lasting relationships with Indigenous Canada. That’s why we have decided to support three important organizations in Canada – Native Youth Sexual Health, 2-Spirited People of the 1st Nations, and Egale Canada – by donating a portion of our Canadian tour proceeds this summer to each organization. Official Tegan and Sara Foundation merchandise available now at teganandsara.warnerbrosrecords.com!